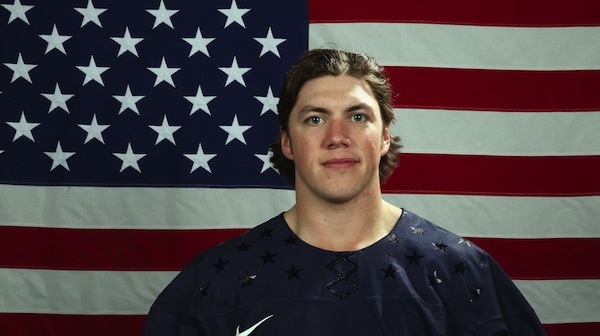 He plays for the St. Louis Blues, and was part of the U.S. Olympic Hockey team in SOCHI in 2014. He became the hero of all heroes when USA played RUSSIA before the knockout stage. He scored 4 out of 6 shots during a shootout and once again, AMERICA! won the game. 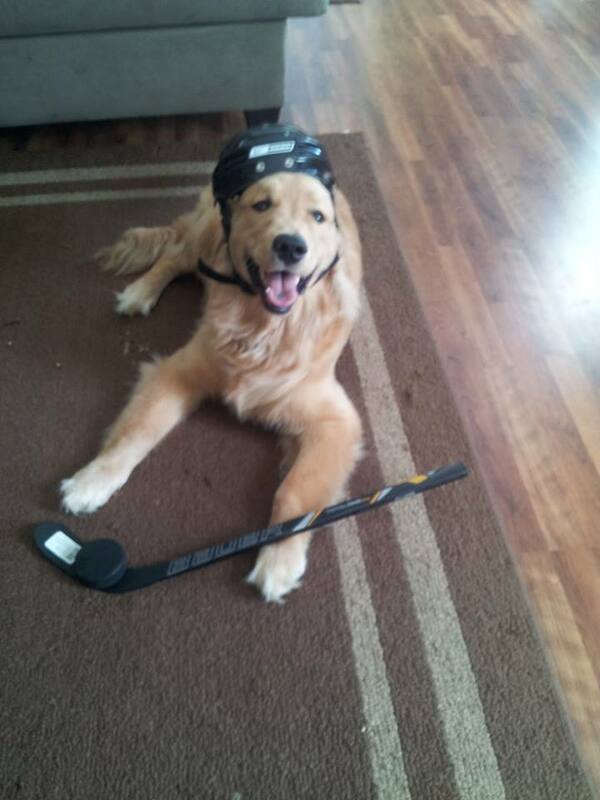 My Husband Jesse and I are huge Hockey fans. We were thinking of Dog names at the same time the winter Olympics were taking place. When we saw this game, and saw how much of a badass T.J. Oshie was, we decided to name our Dog after America’s newest Hero; Oshie. I think it fits pretty well. Look at him! 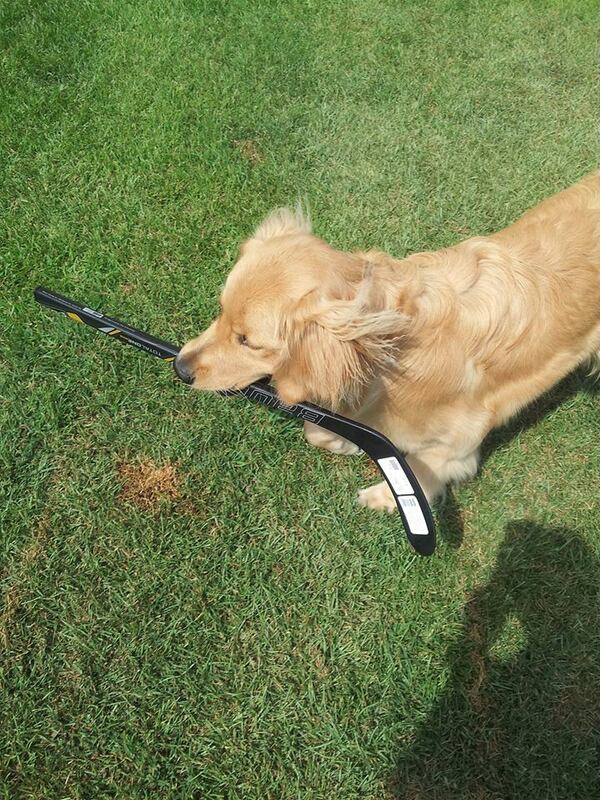 He is picking up hockey sticks and wearing Hockey gear now! …the world would be a different place! 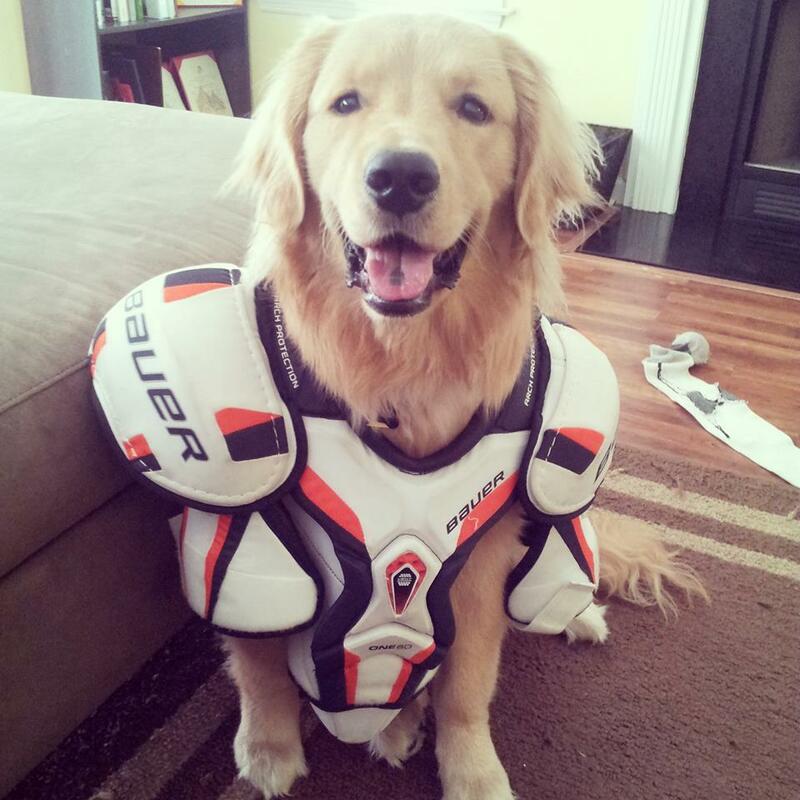 An adorable hokey playing furry friend you’ve got there. Thank you very much for commenting and reading our blog! TJ Oshie is also a dog lover! 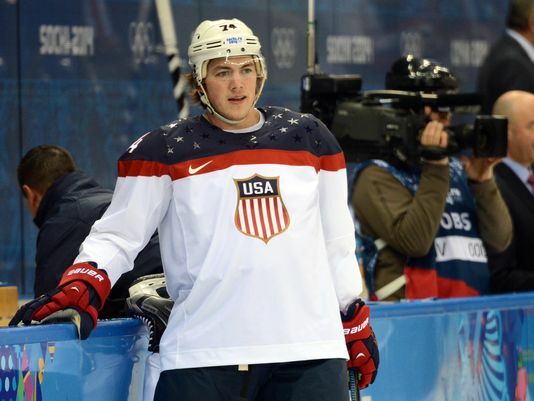 I hope TJ gets to meet Oshie some day.